Improvements in medical treatment, patient care and life expectancy rely heavily on medical devices. Each year, dozens more such devices appear in hospitals. The inventors may be doctors, people with a scientific background or even patients. The desire to find ways of making life better for those who are ill is their motivation. A lot of medical inventions come about almost by chance, however. 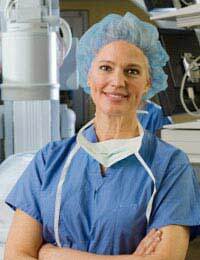 A doctor, for example, may have an idea for improving a surgical procedure with a new device. This idea may spring from practical experience in the operating theatre. The doctor then has to invest time in developing the idea, making a prototype, and encouraging others to take an interest. Following this, there have to be medical trials. What this means is that inventors of medical devices may find themselves in a quandary. They lead busy lives; but they have an idea they are determined to pursue and turn into reality. Despite the evident difficulties, people succeed in developing and promoting medical inventions. The list of such inventions is long. It contains relatively simple items such as the hypodermic needle and stethoscope, and complex machines such as those used for kidney dialysis. At the forefront of this success is innovation. All those involved in the health care field value and look for innovative ideas. The facts illustrate this: an American study shows that 30% of all medical devices sold to hospitals and clinics within a three-year period were new products. The first step to take with an idea for a new medical device is to test it in theory. The way an inventor goes about this will vary according to the nature of the idea. An inventor may have to do a lot of research, for instance, and produce a computer model that simulates the effects of the device. The next stage is to make a prototype. Proving that the prototype works can be hard. Ultimately, this may only be possible during a period of clinical evaluation with patients. But the act of building a prototype can help to iron out any of a device’s snags. Broadcasting the proposal for a new medical device and encouraging others to take an interest doesn’t come easy to all inventors. They worry about secrecy. This is why it’s important to arrange a patent as early in the process as possible. With the protection of a patent and intellectual property rights, an inventor can then promote his or her idea and obtain all-important feedback from other parts of the medical profession. As well as feedback, an inventor may also, if lucky, receive endorsements from established medical figures. Such endorsements greatly help the chances of a new medical device receiving clearance for medical trials. All of this is time-consuming and possibly costly. There are, however, medical research grants available. These may come from drug and equipment suppliers. Major hospitals also have research facilities. It may be possible to use these and to enrol assistants who can help. What an inventor needs to do, above all, is be persistent. It’s necessary to promote the health benefits of a new medical device. And if other benefits include cutting costs, speeding up surgery and reducing patient recovery times so much the better.